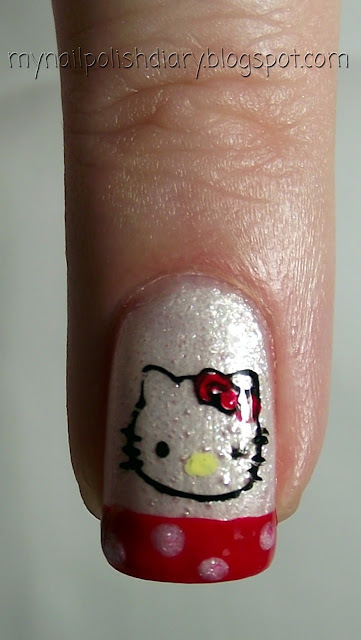 I was going for cute though with this mani. 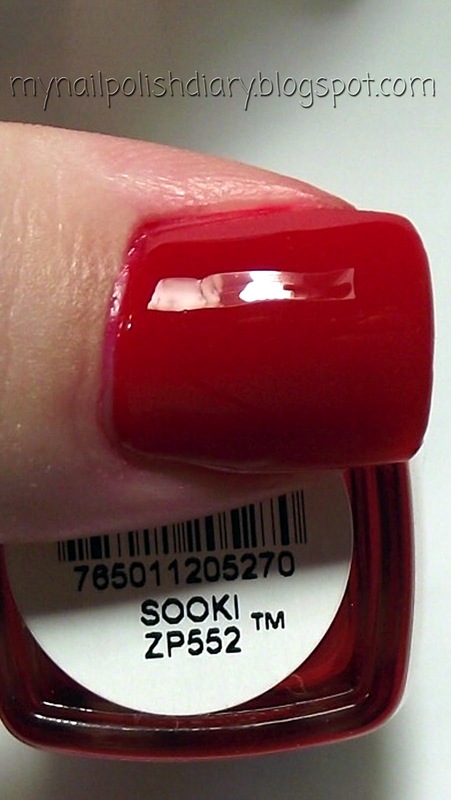 Zoya Sooki from the Summertime Collection 2011 is a gorgeous red jelly. It's a classic red with the yummy squishy-ness that I love. I adore jellies. It went on great and this is two coats. It did stain a little as I was cleaning up. It's noticable in the close up picture. It only lasted though till I took my shower. 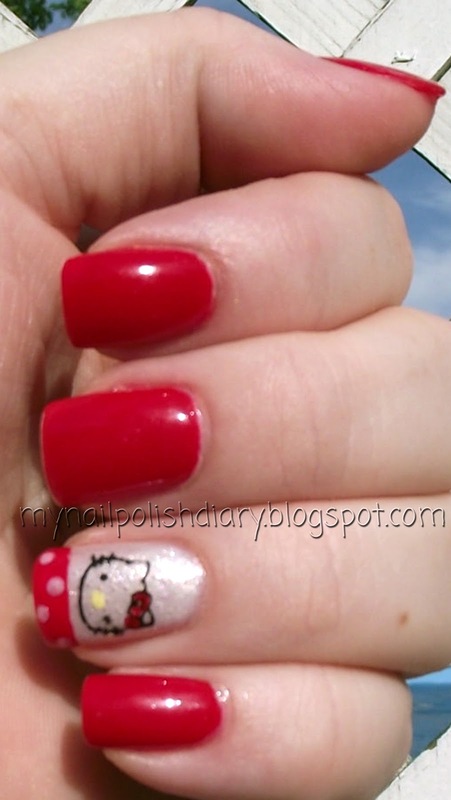 The Hello Kitty stamp is from the Born Pretty Store. I got it in a promotion they were doing back in February(?) where they gave 10 plates away every day for several days. It took a while to get here, but it was worth the wait. (By the way, they always have free worldwide shipping.) I love HK. I used China Glaze Frosty (Holiday 2010 Tis The Season To Be Naughty and Nice) for the base, and Sooki for the french tip and to fill in the bow. The dots are also Frosty. I dotted her nose with China Glaze Lemon Fizz (Spring 2010 Up & Away). 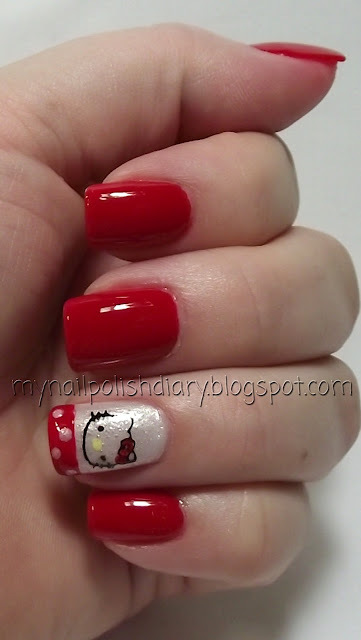 I love this accent nail. I'm really enjoying stamping. I didn't start stamping till this year. I asked for a Konad kit for Christmas and my Dad got it for me. I ended up wearing this for 3 days which is a long time for me. 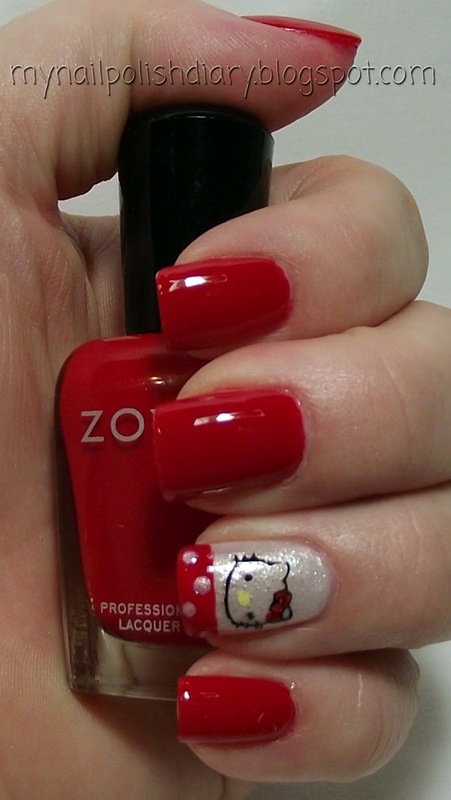 How long do you usually wear a mani?